Son of George Richard Horspool of Qorn, Leicestershire, Robert (Snr) Horspool was born circa 1840 at Winlop, Leicestershire. His wife Eliza was born circa 1836 at Kibworth, Leicestershire. In 1869 Robert and Eliza Horspool had a son called Robert Alfred. In 1871 the Horspool family lived at Hall Street, Bache, Llangollen. 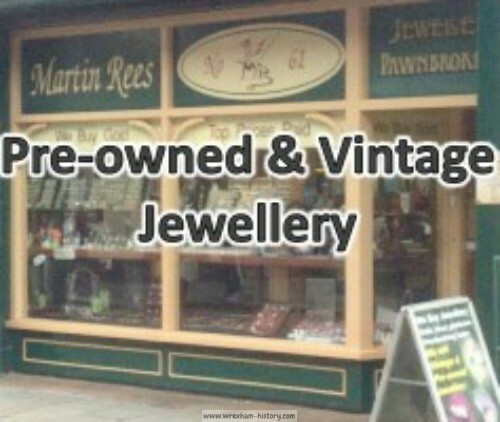 In 1875 a newspaper announcement described Robert as a seed merchant of Castle Street, Llangollen. In 1881, Robert and Eliza’s family was living at 27 Castle Street, Llangollen. Robert was a Seedsman and Market Gardener. In 1891, the family still lived at Castle Street. Robert (Snr.) 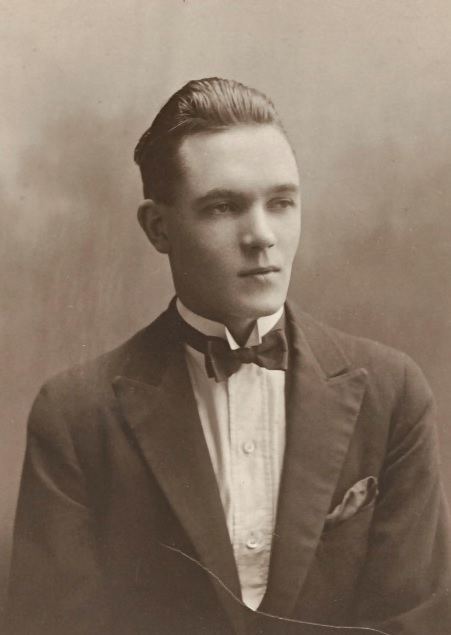 was a Seedman and Florist; their son Robert Alfred was a 22-year-old gardener; daughters 24-year-old Emily and 19-year-old Mary were both working as a Florist and Shop assistant. 15-year-old Arthur was a Gardener’s apprentice. The 1895 Slater’s Trades Directory lists Robert (Snr.) Horspool as a fruiterer, seedsman and florist &c of 15 Castle Street, Llangollen. On 22nd April 1896, 27-year-old Robert Alfred Horspool married 22-year-old Grace Kate Tapping in the Parish of St Mary, Hanwell, Ealing. On Saturday, 20th August 1898 the eighth annual show of the Chirk Horticultural Society was held. In the open class of plants arranged for effect, R. A. Horspool of Chirk Castle Gardens was highly commended for his display. Second prize in the fruit exhibition went to R. A. Horspool. In April 1901, Robert (Snr.) and Eliza were living at 15 Castle Street, Llangollen. 62-year-old Robert was a self-employed Nurseryman, Seedsman and Florist. His 66-year-old wife Eliza was a florist. 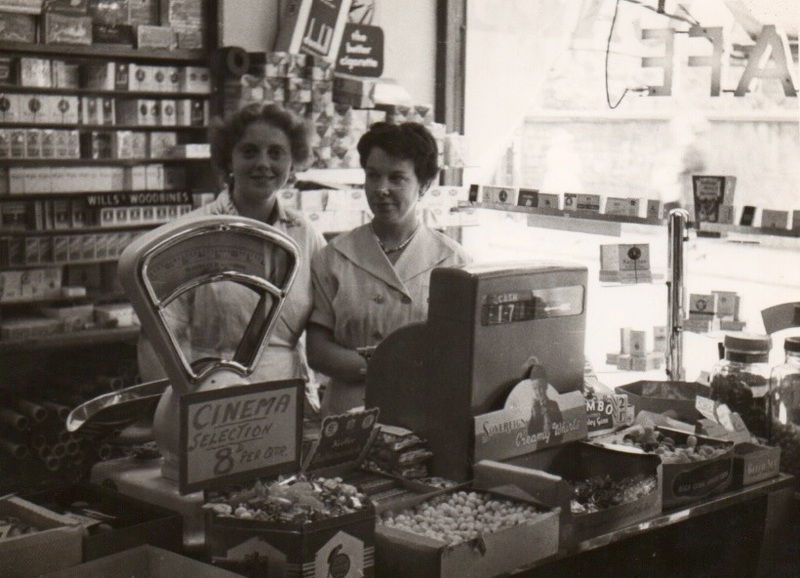 34-year-old Emily was a shop assistant, as were 29-year-old Mary and 22-year-old Herbert. In April 1901, Robert Alfred Horspool and his wife Grace Kate were living at Old Castle Gardens, Chirk. Robert Alfred was a market gardener working for his father. On Saturday afternoon, 27th August 1901, St Martin’s Horticultural Society held their third annual summer exhibition of flowers, vegetables and poultry at St. Martin’s, Chirk. In greenhouse plants, cut herbaceous and stove flowers, Mr. R. Horspool of Chirk Castle Gardens gained second place. For the eight dishes of fruit Mr. Horspool also came second. for the best collection of vegetables Mr. Horspool came first. Robert and Grace’s son Edgar Victor Horspool was born in 1903 at Chirk. On Saturday, 15th August 1903, Chirk Horticultural Society held their thirteenth annual exhibition. In the plant groups section for potted plants, herbaceous and greenhouse flowers, Mr R. A. Horspool of Chirk Castle Nurseries was placed second. Mr Horspool also showed the best collection of vegetables. “The Llangollen Advertiser of 12th May 1905 carried the following announcement – Robert (Snr.) Horspool, Fruiterer, &c, Castle Street, Llangollen, desires to contradict the statement appearing in the Ruridecanal Magazine, to the effect that R. A. Horspool of Chirk, who has been managing the Chirk Nurseries for his father, is about to take over the Llangollen Business. 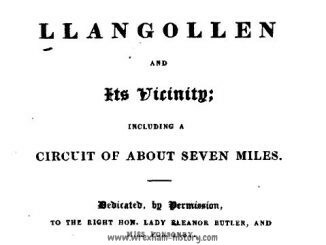 The report appears to have originated in the fact that R. A. Horspool will, in future, assist in working the Llangollen Nurseries in addition to the Chirk Castle Gardens; the full control of affairs, at both places however being as hitherto, in the hands of his father, R. Horspool (Snr)”. As Robert Horspool was then 65-years-old it was probably assumed that he was retiring and placing his son Robert Alfred Horspool (aged about 36) in charge. On the night of Saturday, 29th July 1905, Grace Horspool of Chirk Castle Nurseries, was returning home in a motor omnibus with her five children. On the Holyhead Road at Froncysyllte the car door suddenly swung open, precipitating Mrs Horspool violently onto her head on the highway. Her infant child (Norman Harold) fell upon her. Mrs Horspool sustained shocking injuries, was taken home unconscious and was described as “in a critical condition”. Early in 1906, Eliza Horspool died, aged 70. On 1st April 1910, Mr Horspool of Castle Street, Llangollen, was advertising for a Strong Girl aged about sixteen. In April 1911, 72-year-old widower Robert (Snr.) Horspool and two of his daughters were living at Cherry Tree, Llangollen. Robert was a self-employed Nurseryman, working at home. 42-year-old Emily and 36-year-old Louisa were both performing house duties. In April 1911, Robert Alfred and his wife Grace Kate were living at 15 Castle Street, Llangollen. The house had eight rooms, excluding the scullery, bathroom, etc. Robert Alfred was a Nurseryman and Florist. On 29th May 1916, Mr Horspool of Llangollen was advertising for a Fruit Shop Assistant. On 5th April 1917, Mr. Horspool of Castle Street advertised for an Assistant-Manageress or a 1st Hand with good knowledge of the business. Applicant must state experience and requirements. On 19th December 1917, Mr Horspool of Castle Street was advertising for a 1-sack drum dough machine and motor to drive same. On 31st December 1917, Mr. Horspool of Castle Street, Llangollen was advertising for an Improver or Second Hand, seventeen years or over. On 1st February 1918, Mr Horspool of Llangollen was advertising for a young girl aged about seventeen to work in his Confectionery Shop. On 4th April 1918, Mr Horspool was advertising for a Second Assistant, aged about eighteen, for his shop and cafe in Castle Street. Successful applicant would live-in. he also needed a Second Hand and a Second Baker aged about seventeen. On 27th June 1918 Mr Horspool of the Dorothy Cafe, Llangollen, was seeking a young man or lady to assist in the bakehouse. This is the earliest reference to the name “Dorothy” I have been able to find. On 17th July 1918, Mr Horspool of the Dorothy Cafe, Llangollen advertised for a young lady, first or second hand, for his shop. He also sought a young lady for the bakehouse. On 28th September 1920, 17-year-old Edgar Victor Horspool was an apprentice on board the S. S. Hambleton Range as she arrived in New York. She had sailed from Leith, via Newcastle Upon Tyne. Edgar Victor’s height was listed as being five feet two inches and his weight was nine stones. On 9th December 1920, Edgar Victor Horspool was supposedly on board the S. S. Hambleton Range as she arrived in New York. She had sailed from Leith, via Dundee. He was described as being five foot four inches and weighing nine stones, with a mark on his forehead. On the Manifest his name was struck off and in hand-writing it said, “Not on board”. 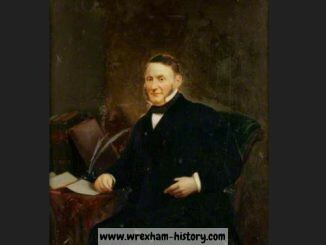 On Tuesday, 27th January 1925, Robert Horspool (Snr) died aged 85 at his house, Cherry Tree, in Llangollen. The newspapers described him as the oldest and most widely-known horticulturist in Wales. During the 4th Quarter of 1928, in the District of Corwen, a marriage was registered between 25-year-old Edgar Victor Horspool and Ivy Violet Crouch (born at Liverpool in 1903 to George H. Crouch and Charlotte S. Crouch). Ivy Crouch’s parents managed the Woodlands and then owned a cafe on Oak St where the Catholic church is now. They held Eddie and Ivy’s wedding banquet there. It was called King’s cafe after King Edward, who had visited Llangollen. The Dorothy Cinema in Castle Street was opened by the Horspool family in 1931. It was in competition with the Town Hall Cinema across the street, but when that closed at the commencement of World War II, never to re-open, this left the Dorothy Cinema as Llangollen’s sole cinema. 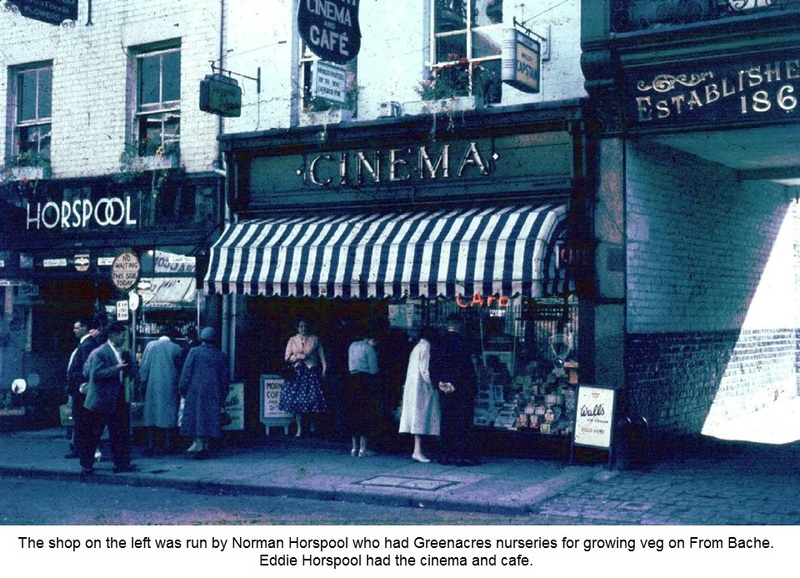 Norman Horspool’s Greengrocery shop was next-door to the Dorothy, which served the town as a shop, café and cinema. 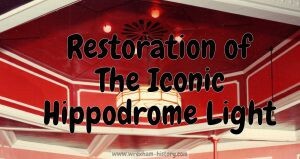 The Dorothy ballroom was equally popular in the 1930s, and this like the cinema belonged to the Horspool family. A pre-war advert announced that on 16th September 1938, the Dorothy Cinema was showing The Lily of Laguna and Who’s your Lady Friend, and in the 1930s, with no televisions, there were full houses. Also on 16th September 1938 there was a ‘Carnival Dance’ in the Town Hall, with the Fred Roberts band, as well as a cinema, showing a Rin-tin-tin film. In 1939 Llangollen magistrates granted the first ever licence for a Sunday cinema show at the Dorothy Cinema, to be held on 26th March. Mr Horspool promised that the proceeds would be given to the local Cottage Hospital. Deputy Chief Constable J. Evans said the police had no objection, provided the time of the performance did not clash with local church services. Major R. W. Richards, the clerk, warned Mr Horspool that it was within the bounds of possibility “that a common informer may intervene under the Sunday Observation Act”. The licence was granted on the applicant’s own risk. 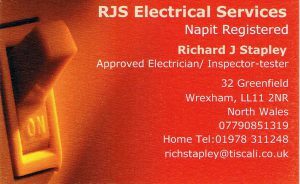 During the 3rd Quarter of 1943 the death was registered in Wrexham District of Robert Alfred Horspool. The Dorothy Cinema was still active in 1947, showing Gracie Fields in Queen of Hearts among others. Margaret Davies worked in the cafe upstairs in the fifties. She said his parents were lovely to work for. A programme dated August 1953 named Edgar Victor Horspool as the Managing Director of the Dorothy Cinema and announced that showings were twice nightly at 6pm and 8:10pm. Price of admission to the Balcony for Adults was two shillings and three pence and for Children it was one shilling. Admission for the Ground Floor was one shilling and sixpence and one shillings and three-pence for Adults and nine pence and sixpence for Children. Children were admitted half price to the First House except for Saturdays and Bank Holidays. Matinee Prices for the Balcony were one shilling-&-sixpence and two shillings and for the Ground Floor prices were one shilling and six pence. Box Office was open between 9am and 9pm. The Tuesday Review of 10th May 1960 announced that on that day the Dorothy Cinema would be showing The Light In The Forest, starring Carol Lynley and Fess Parker. On Thursday 11th May they would be showing Treasure Island, starring Robert Newton. On Thursday, Friday and Saturday of that week they were to show Beyond This Place, with Van Johnson and Vera Miles. Monday and Tuesday’s film would be Some Came Running, starring Frank Sinatra and Dean Martin. Prices of admission were two shillings-and-sixpence for the Circle (Children – one shilling-and-sixpence) and the Stalls were one-shilling-and-ninepence for Adults and one-shilling for Children. The following week was promising a showing of Mario Lanza’s last film For The First Time and a long film called Angry Hills. In the 1960s, Annette Horspool sometimes sang at the Dorothy. Annette Horspool was originally Annette Rowley from Albert Grove, Ruabon and she married Victor J. Horspool in 1960. During the 1st Quarter of March 1961 the death was registered in the Poole District of Grace K. Horspool, aged 87. 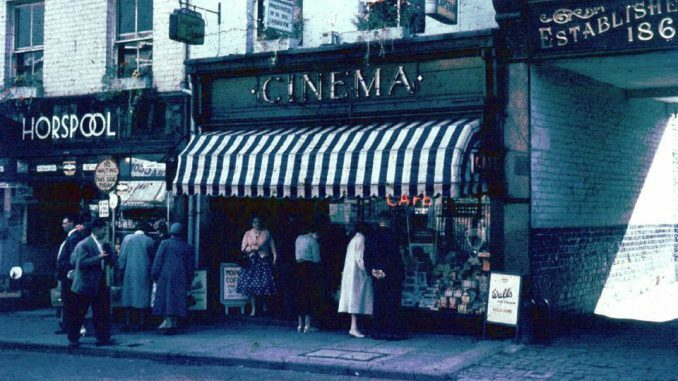 On Saturday, 26th October 1963 the Dorothy Cinema stopped showing films, citing television as the reason. The Management thanked all who had attended the cinema during its thirty-two years. On Tuesday, 29th October 1963, the Dorothy opened their Lucky Star Bingo Club and invited all their former cinema patrons to become members. On 3rd September 1965, Ivy Violet Horspool died aged 62. 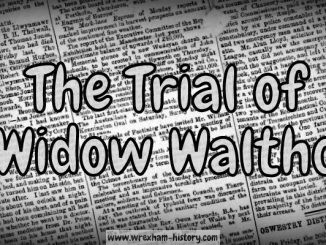 In September 1965 her death was registered in the Wrexham District in September 1965. 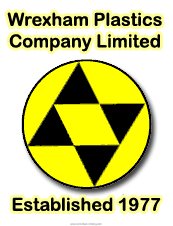 Probate was dated 11th October 1965; Registry London. Ivy’s address at the time of her death was given as Bonnington Fron Bache, Llangollen, Denbighshire. Probate was granted to Edgar Victor Horspool, company director, and to Dudley Raymond Richards, solicitor. Pat Williams heard that Annette had a very bad accident & had her leg removed below the knee. This was confirmed by her son Martin. Located within the old Dorothy Cinema on Llangollen’s High Street, Maxine’s Cafe and Bookshop at 17 Castle Street, offers a wide selection of hot meals and drinks, as well as breakfasts, cakes and more. The venue is also home to the Dragon’s Den Play Centre, complete with soft play, ball pit, slides and baby changing facilities, as well as sofas so adults can unwind a little too. 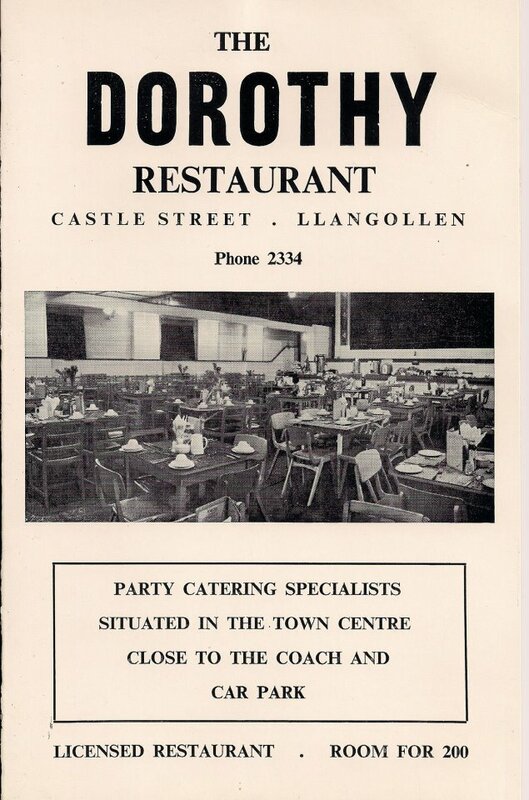 At the end of all my research I am no wiser as to why the cinema/cafe had the name “Dorothy”. One theory was that it was named after the hotel where Edgar (Eddie) Horspool had his honeymoon. My search revealed that the name “Dorothy Cafe” was already in use when Edgar was only thirteen years of age. Another theory was that the name came from Eddie’s grandparents, but I found them all and there were no Dorothies. Here’s hoping one day someone will find the answer to this mystery. POSTSCRIPT – Since writing this article I (Dave Edwards) discovered that the Grasmere Hotel in Cumbria has a Dorothy Room in memory of Dorothy Wordsworth … I wonder if maybe Robert Alfred and Kate honeymooned there? The hotel was built in 1871 and they married in 1896, so it was highly possible. Dorothy Wordsworth was certainly the most famous Dorothy. Failing that, Annette Horspool thinks that the Dorothy may possibly have been named after a cafe in Bournemouth that her father-in-law Edgar/Eddie liked when he was there as a young man visiting his sister. I couldn’t find no trace of a Dorothy Cafe at Bournemouth, but there was certainly a Dorothy Cafe at Weymouth, only an hour’s journey from Bournemouth.